The members of the Fidesz-KDNP Group, who form the majority of the Hódmezővásárhely General Assembly, considered the draft budget presented by Péter Márki-Zay (independent) Mayor unacceptable in content and form, so it was not discussed by the panel at its extraordinary meeting. on Tuesday, that was quorumable, writes MTI. Tamás Cseri (Fidesz-KDNP) representative of the local government told reporters before the general meeting meeting that the amended budget proposal was unacceptable in both content and form, in some cases the data in the text and the tables did not match. 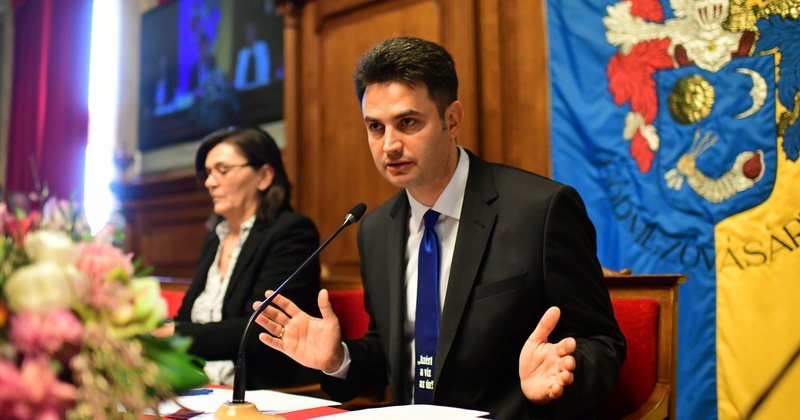 Zoltán Hegedűs, head of Fidesz-KDNP, said that the city needs a budget that serves all Hódmezővásárhely interests, is economic, enforceable, not accompanied by borrowing and loss of assets. Fidesz has proposed a 30% reduction in building taxes for local businesses, upgrading very poor sidewalks and roads of $ 300 million and upgrading the hospital from two to one billion forint over two years to create two-room climate clinics. He also said that they would not be able to support the privatization, the sale of the possessions of municipal companies and the revival of the city's possessions. According to Hegedűs, there was a constructive negotiation of the budget between the faction and the mayor, so he is convinced that the budget will be unanimously adopted by the Assembly at the next meeting. Péter Márki-Zay intends to provide Fidesz-KDNP with a reduction in expenditure and postponement of certain developments, after having mentioned the quorum of the general meeting. The mayor presented the first version of the budget for the meeting of the general meeting on Friday, but the proposal was not on the agenda at that time.